Alumni were sighted this week having baked a cake for one of their beloved former teachers, Mrs. Lynda Julian. Only two alumni are pictured here, though a few others also participated. 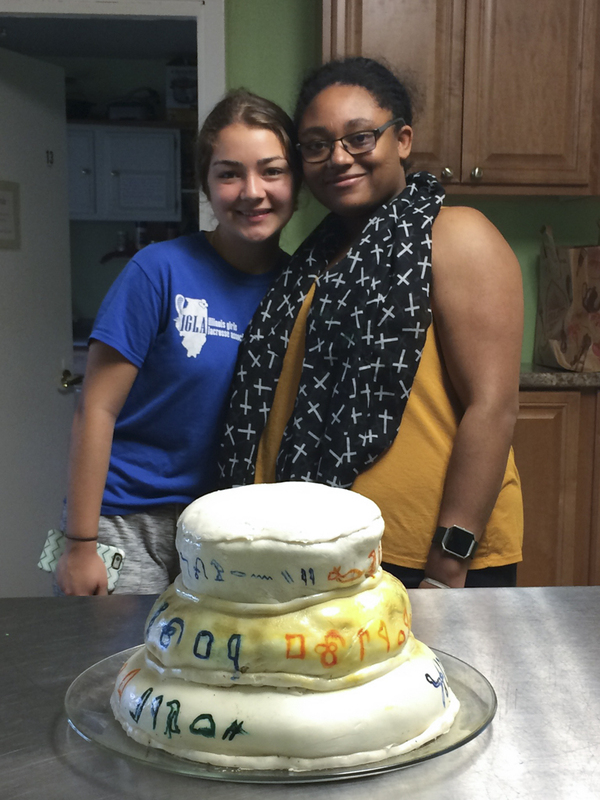 Sadie A., Grace A., Iris M. and Will B. baked a special gluten-free cake from scratch (and they even made their own fondant). The Egyptian symbols on the side are significant, as well, and they were overheard reminiscing about days gone by in Da Vinci classrooms. We miss them so, and our hearts swell with pride and joy at seeing them become such beautiful people!